This was a rogue experiment that turned out delightfully delicious. I know not everyone fall into the pro-eggnog camp, but if you do, this is a yummy breakfast to indulge in. Heat griddle to 325 degrees or a pan to medium heat. Whisk eggs and eggnog together along with 1/2 teaspoon pumpkin pie spice. Soak bread in egg mixture and then place each slice on griddle. Flip after a minute or two until both sides are golden brown. After cooking one side, lightly sprinkle toast with pumpkin pie spice. 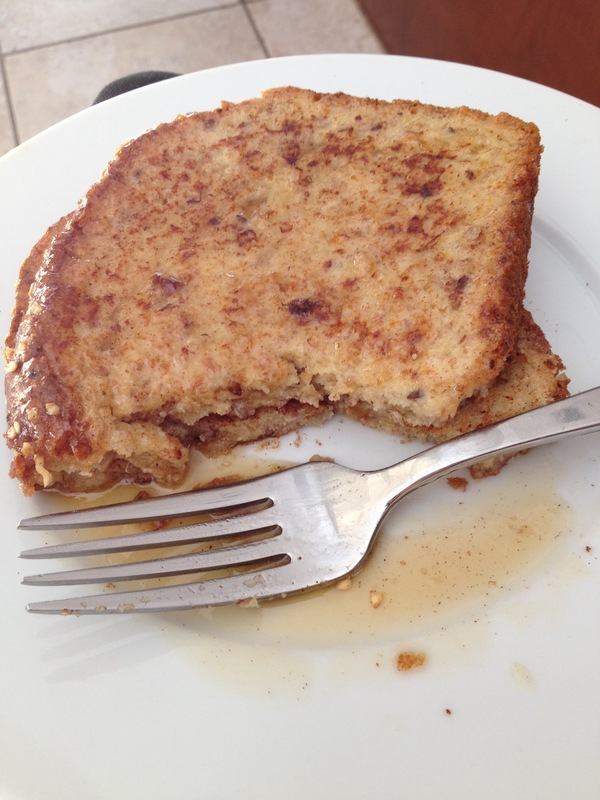 Top with butter and (real) maple syrup. *to be honest, I didn’t measure the eggnog at all, the 1.5 cups is my best guesstimate. Just slowly pour in the milk, whisking until your egg mixture is light yellow.